I have never been an operations management or “Lean tools” guy. From the beginning, my interest has always been the human side of Lean management. After leaving industry, I became the first academic researcher to focus exclusively on Lean leadership. I did this because it was apparent to me soon after the start of my Lean training with Shingijutsu in 1994 that leadership made all the difference. Lean leadership in the early 1990s was seen as a mystery that few had mastered. One very successful Lean leader told me many years ago that Lean leadership was a “black art.” Fortunately, that is no longer true. 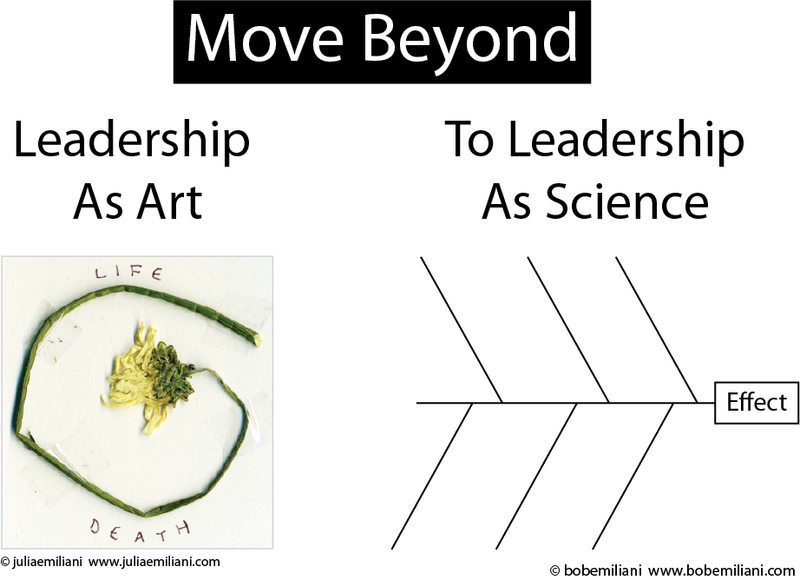 My research has transformed Lean leadership from a mysterious art into a science. This, in turn, makes Lean leadership accessible to many more people. My research is grounded in my own experiences as a Lean leader while working in industry. Therefore, my research and the resulting papers that I have written are practical works despite the fact they were published in academic journals. While academic papers may have the look of theory, their content is often immediately applicable. That is the case with my papers and also with my books – works written by a Lean practitioner for Lean practitioners. I wrote “Continuous Personal Improvement” in the summer of 1997 and submitted it to the Journal of Workplace Learning. It was immediately accepted for publication because of the interesting way that I showed how Lean practices can be applied to improving one’s leadership skills. Soon after beginning my Lean training, I recognized that leaders’ behaviors had to be consistent with the Lean management system that they were advocating. I also realized that Lean practices could easily be transformed into leadership development aids and figured out how to do that. This innovation would simplify leadership development in organizations undergoing a Lean transformation. I used these in my own efforts to become a Lean leader when I worked in industry. It works. “Continuous Personal Improvement” was quickly followed by the paper “Lean Behaviors,” which would later earn a Best Paper award from the publisher. I wrote “Lean Behaviors” in early 1998 and submitted it to the journal Management Decision. It too was immediately accepted for publication because of the innovative way that I showed how to further develop and improve Lean leadership skills. I used this construct in my own efforts to become a Lean leader when I worked in industry, and it helped me greatly. Importantly, the “Lean Behaviors” paper identified and defined the eighth waste, “behavioral waste,” and was the first paper to make explicit the “Respect for People” principle that for so many decades was implicit. What was (and remains) ground breaking about these two paper is that they simplify leadership development for Lean organizations. I have built on these works since then to further move Lean leadership from art to science, something that nobody else has done. Darn good for someone with a Ph.D. in Engineering! And therein lies the uniqueness of my work. My engineering education, as well as my genba kaizen experiences, led me to approach the problem of Lean leadership from an entirely different perspective. Most researchers and authors approach Lean leadership from a social psychology, organizational behavior, or traditional leadership perspective, and often have M.S. or Ph.D. degrees in those fields. That education limits their perspective and thus their ability to solve an important problem that has vexed many for several decades. I was able to move beyond the simple view of Lean leadership as a set of desirable behaviors to a much broader and more detailed view that concretely shows the relationship between Lean leadership beliefs, behaviors, and competencies. When compared to traditional leadership beliefs, behaviors, and competencies, the contrast is remarkable. You can learn about this in my workbook Practical Lean Leadership: A Strategic Leadership Guide For Executives. My engineering perspective and genba kaizen training allowed me expanding on this work. I was able to see leadership as processes and identify ways to improve leadership process that are simple and effective, and which make use of Lean tools and methods that people already know how to use. It’s an amazing advancement in Lean leadership. You can learn about it in my new book Speed Leadership: A New Way to Lead for Rapidly Changing Times. In summary, Lean behaviors are necessary to become an effective Lean leader, but they are not sufficient. To make better and faster progress in one’s Lean transformation, leaders must do more than understand and practice certain desirable behaviors. I urge you to learn about the relationship between leadership beliefs, behaviors, and competencies, and also about leadership processes. You will be glad you did. Bob, you are right about the importance of aligning behaviours, techniques and management philosophy. People identify dissonance between rhetoric and behavious very quickly. To achieve maximum engagement, it is important to model the behaviours that you advocate.